Mr. Frank is general manger in one landscape company. He always uses stone materials for decoration. At the end of last year, he visited SEVEN TRUST website and made some enquiry. SEVEN TRUST sent the samples to him. Mr. Frank got the samples and showed them to the clients. His clients were satisfied with these samples and confirmed orders, which bring him big business opportunities. He can confirm one container WPC decking every month. He is also developing other outdoor wood plastic composite products. Mr. Frank is happy to win the market. 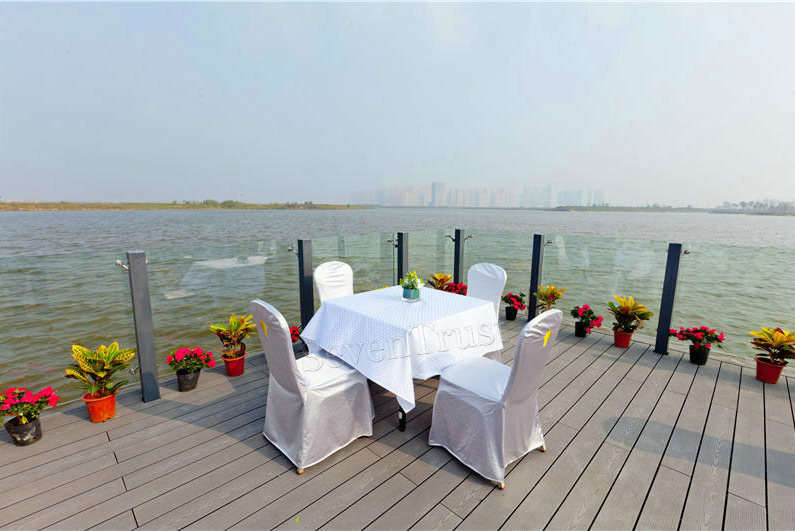 SEVEN TRUST is specialized in providing wood plastic composite (WPC) products and has great comprehensive ability to provide services of best quality and best price. WPC is really healthy and protects environment.